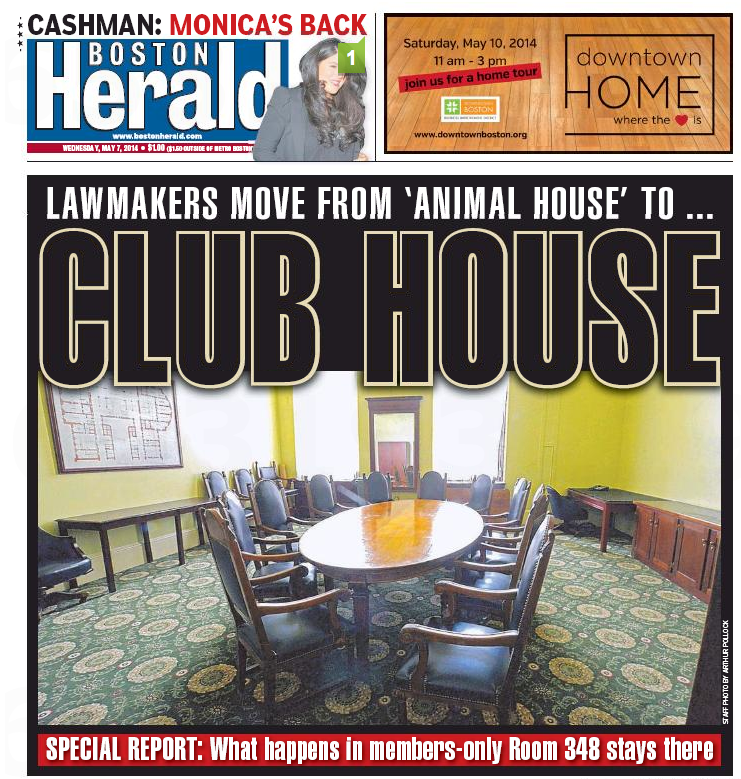 For years the hardreading staff has described the feisty local tabloid as a sort of sprightly daily summary of the Boston Globe. The crosstown rivals are absolutely living in parallel universes at this point. 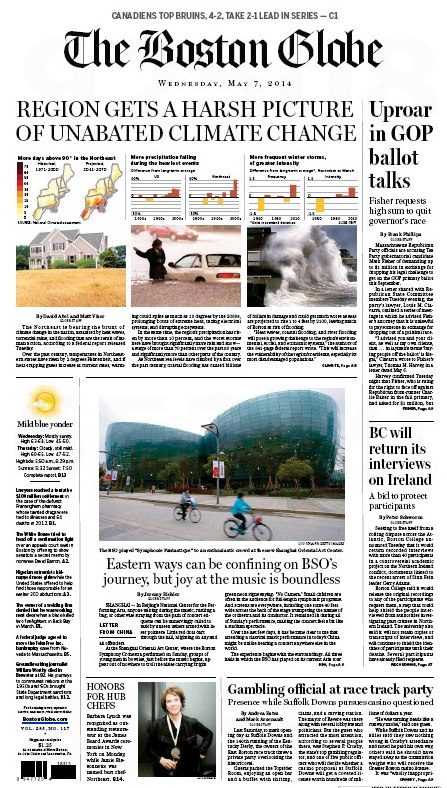 Exhibit Umpteen: There are three big local stories on the front page of today’s Globe – the region’s big hit from climate change; GOP gubernatorial wannabe Mark Fisher’s alleged shakedown of state party officials in return for his dropping out of the race; and Boston College’s returning its Belfast Project tapes to the interviewees to avoid more mishegoss like last week’s Gerry Adams rumpus. Exactly none of those three stories appears in the Herald. Those Namesniks at the stately local broadsheet need to get crackin’, yeah? 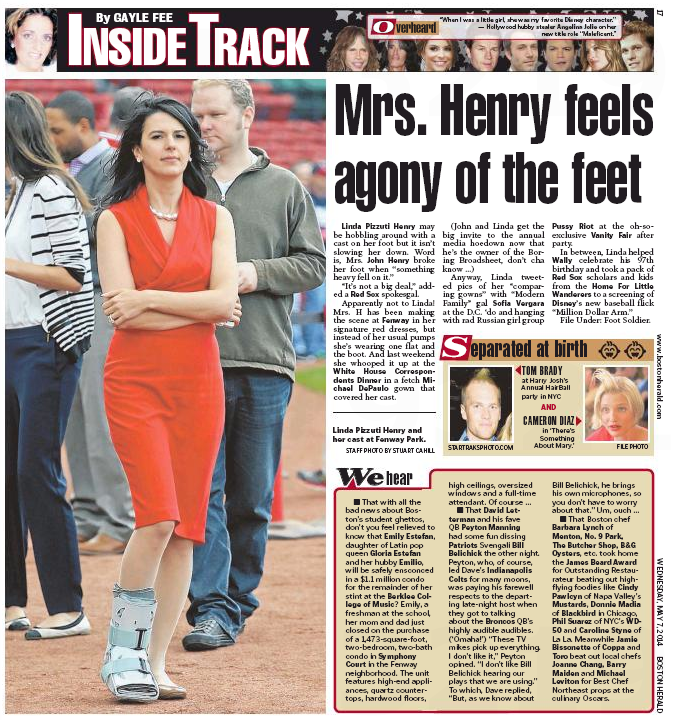 This entry was posted on Wednesday, May 7th, 2014 at 2:18 pm and is filed under Uncategorized. You can follow any responses to this entry through the RSS 2.0 feed. You can leave a response, or trackback from your own site.